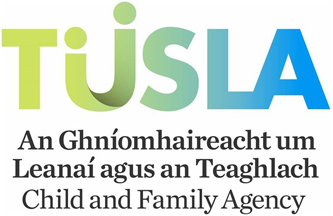 On 1st January 2014 the Child and Family Agency became an independent legal entity, comprising HSE Children and Family Services, the Family Support Agency and the National Educational Welfare Board as well as incorporating some psychological services and a range of services responding to domestic, sexual and gender-based violence. The Agency operates under the Child and Family Agency Act 2013, a progressive piece of legislation with children at its heart and families viewed as the foundation of a strong healthy community where children can flourish. Partnership and co-operation in the delivery of seamless services to children and families are also central to the Act. The establishment of the Agency represents an opportunity to think differently, where appropriate to behave differently and to seek a wide range of views regarding the most effective way of working together to deliver a wide range of services for children and families. An approach which is responsive, inclusive and outward looking. There are over 4,000 staff working in the Agency, which has an operational budget of over €750 million.